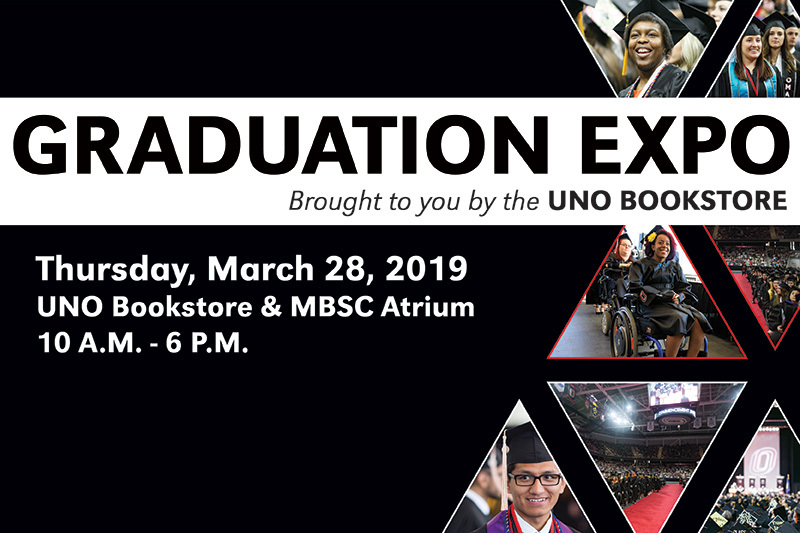 Take care of all your graduation needs in a one-stop shop experience at the UNO Bookstore’s Graduation Expo; March 28. Take care of all your graduation needs in a one-stop shop experience at the UNO Bookstore’s Graduation Expo! The expo takes place Thursday, March 28, 2019 from 10 A.M. - 6 P.M. in the Bookstore. The event will highlight various vendors, grad pack prizes, and games provided by Student Involvement. Enjoy free refreshments provided by UNO Catering, who can help with all of your catering needs for your upcoming graduation party. ACDC will be there to edit your resume and Commencement to answer all of your graduation day questions. Come share the experience and prepare to be a new UNO Alumni. Meet with an academic advisor to ensure all degree requirements are met. Apply for your degree on MavLINK by March 8, 2019. You will submit your official RSVP for the Commencement Ceremony within your degree application. Order your cap and gown at the UNO Bookstore immediately after applying for your degree. Join the UNO Alumni Network. Attend UNO Commencement on May 3, 2019! Do not forget to RSVP for the Graduation Celebration! A free celebratory event sponsored by the UNO Alumni Association and UNO Bookstore on Thursday, May 2.